The Born Free Foundation and WCRS team up to create an innovative, interactive DOOH campaign for World Orca Day. Agency WCRS are launching an attention-grabbing campaign to raise awareness of the plight of captive orcas. 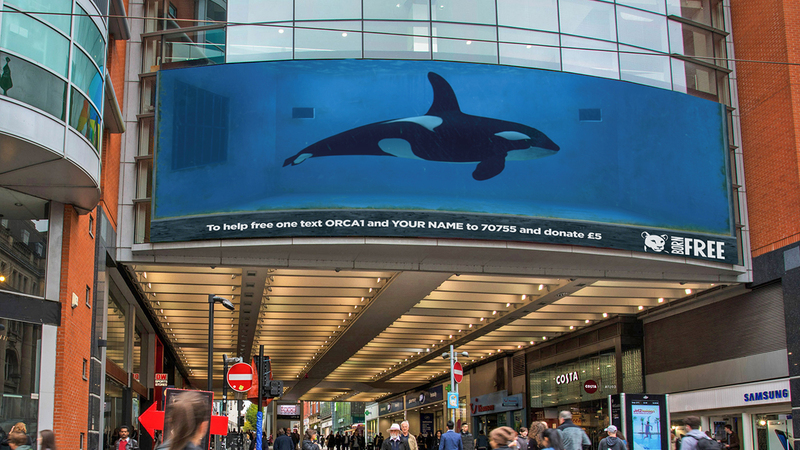 Using screens supplied by Ocean Outdoor, which has already recognised WCRS for creative use of digital campaigns, and CGI supplied by The Mill London, #TankFree takes place in five locations across the UK, where large digital screens will display full-motion images of orcas confined to virtual tanks.